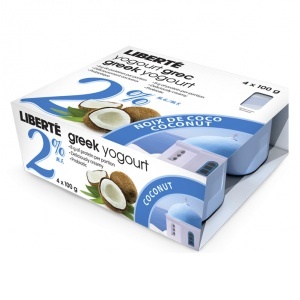 On Checkout 51’s list this week (Aug 22-28, 2013) is Liberté Greek Yogurt, 4x100g and 8x100g multipack variety. A type of yogurt crafted using traditional Greek methods. A strained yogurt according to the principles of old-time cheesecloth draining, which gives it an incredibly rich and creamy texture and one that’s absolutely free of fat. As surprising as it is delicious. You will get $1.00 cash back rebate at Checkout 51. Here’s a pic of what it looks like. I found a couple prices of it at a few stores.